Cape Region golf courses continue to provide some real opportunities for memorable shots. On September 11, Dave Mason made a hole-in-one at the Old Landing Golf Course, off Old Landing Road. He used a Ping pitching wedge to make his ace at the 117-yard par 3 fifteenth hole. Don Sikes made another hole-in-one at Shawnee Country Club’s 179-yard par-3 fourth hole on September 15, scene of several aces this year. Sikes used his driver, so I am assuming he was deliberately attempting some kind of trick shot that came off just as he planned it. There are a few distinct book-selling opportunities for those who publish books aimed at the golfing community. The first one is just around the time of the Masters Tournament, when most of the sports-minded folk in the country are just recovering from the NCAA basketball tournament. The second selling season comes up shortly thereafter, as Father’s Day approaches. The third selling segment is just starting now, as folks begin thinking about the upcoming Christmas season. With that in mind, here are three very pleasant coffee-table style golf books for your consideration. Robert Sidorsky’s Golf Courses of the World: 365 Days is now out in its second edition, and is just gorgeous (Abrams Books; $29.95 SRP). 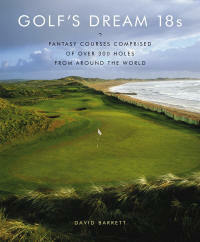 The 744-page book includes a short description and stunning photography of over 200 golf courses from all over the world. For each day of the year, a golf course is singled out for praise, usually combined with a photograph that fills a page by itself. Bayside Resort Golf Club, near Fenwick Island, is the closest beneficiary of Sidorsky’s compliments, and can be found on the October 9 calendar entry. Congressional Country Club’s Blue Course, in Bethesda, Maryland, can be seen on the next day’s entry, while the Pennsylvania courses highlighted include Aronimink Golf Club (July 5), Merion Golf Club’s East Course (July 6), and Philadelphia Cricket Club (July 7). 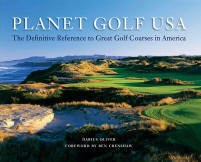 Planet Golf USA is another beautiful book from the folks at Abrams Books ($60 SRP). Written by Darius Oliver, with a forward by Masters Champion Ben Crenshaw, the book features photographs and commentary about more than 140 golf courses throughout America. The principal photographers were John and Jeanine Henebry, who to judge from this work are extremely adept at large scale landscape photography. In one respect, the pictures are reminiscent of many such views found in other golf-related coffee table-style books. Many of the scenes appear to have been shot during early morning or late afternoon, when the sun angles make the course contours appear at their most dramatic. I’m perfectly fine with this approach, from my amateur art appreciation perspective. Each course description includes information about the designer, its ranking among those listed in Golf Digest or Golf Magazine’s annual ratings, and an outline of how the course plays. In addition to Merion and Congressional CC, the featured courses closest to the Cape Region include Baltimore CC in Maryland and Pine Valley, in southern New Jersey. The last book in this series is also published by Abrams Books, and it takes a unique approach to its photogenic subject. In David Barrett’s Golf’s Dream 18s, the author essentially breaks up golf courses into their 18 hole parts, and then reassembles them into a widely varying set of new layouts. ($50 SRP). 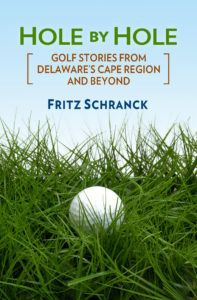 For example, his first substantive chapter is devoted to a fantasy layout of the most scenic 18-hole golf course. At par-70, ranging from 4612 to 6627 yards, with 6 par 3s and four par 5s, the course is eminently playable, with holes taken from Desert Highlands, Pacific Dunes, Pebble Beach, and the Casa de Campo. Based on the photographs, I think a round would take twice as long, solely due to the awe-inspiring layouts. Barrett came up with several other fantasy layouts, such as one without any bunkers, holes anyone can play (he says), strategic holes, and his ultimate dream 18. It’s a fun read, and I could see someone converting some of these layouts into a computer simulation that would be a blast to play.